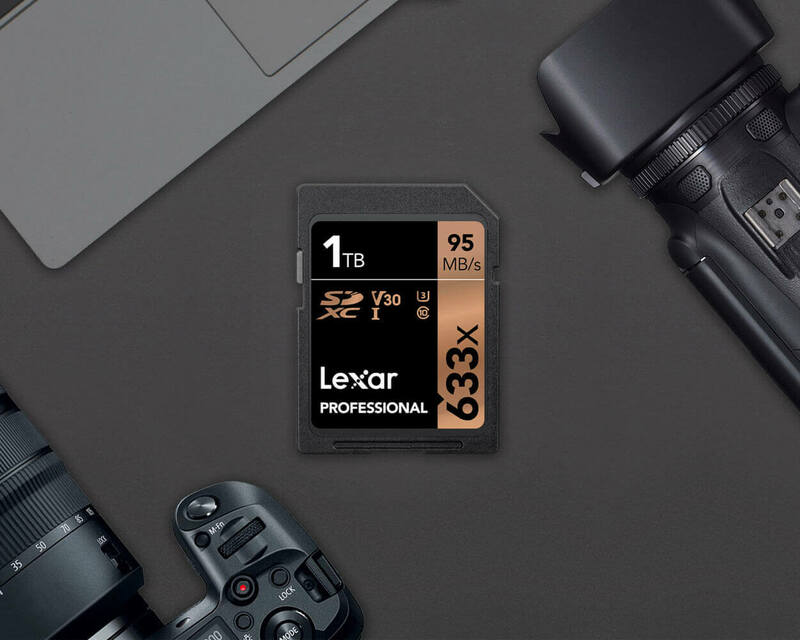 Lexar has unveiled the first ever 1TB SDXC flash memory card for cameras that will actually go on sale to the public, the Professional 633x. The SDXC card is intended for photo and video experts who require enormous capacities with respect to their work. In spite of offering record capacity, the card can't boast with leading edge performance. SanDisk flaunted a 1TB SD prototype two or three years prior, yet the final product never made it to market. In the official announcement, Lexar claims that the 1TB SD card will be capable of 95MBps read and up to 70MBps write speeds. It is rated Class 10, UHS speed class 3, and video speed class 30. The card supports the Video Speed Class 30 specification and in this way gives somewhere around 30 MB/s sequential write speeds and concurrent interleaving of eight different files (helpful for 360° videos). When it comes to operating temperature range, the Professional 633x SDXC cards are intended to work in the range between 0° and 70° C (32°F to 158°F), which is a smaller when contrasted with cards intended to work in cruel environments. The Lexar 1TB SD card's availability seems to be limited to the United States right now and it is indistinct when it will be released in the other markets.The 633x is available now for a suggested retail price of US$499.99.